In August we supported ALS Association's Central Florida Chapter with a $125 donation to help with research efforts to end the disease. We could not believe the level of flooding Hurricane Harvey caused in the south. In July, our town (Fox Lake, IL) was on the national news for our flood levels after receiving 7 inches of rain one night. A lot of northeastern Illinois was impacted as levels in lakes and rivers rose to record levels (Fox Lake rose 3.5 feet above average). Many homes were filled with water and/or sewer backup. Businesses were shut down for weeks. Dave volunteered one afternoon to hand out Red Cross cleanup kits and heard some sad stories from several residents. Ariel photos from our area are available in this Flickr album. Fox Lake had 7 inches of rain, not 50+ inches. Friends of ours living in impacted areas were posting incredible photos on Facebook. The media has shown us images of destruction and amazing rescues. It will take a long time for things to get to normal (if it can) for many people in Texas. Today (September 6th) we've been watching Hurricane Irma hover over one of our favorite vacation spots - The British Virgin Islands. The storm is over Anegada right now. We read that 1/2 of the island's 200 inhabitants evacuated. We're wondering which of our friends are still there riding it out, or who went to "safer" ground in Tortola. We are sure relief efforts for Irma will be next month's charity. 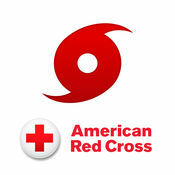 Please consider giving to the American Red Cross to provide people the help they need.